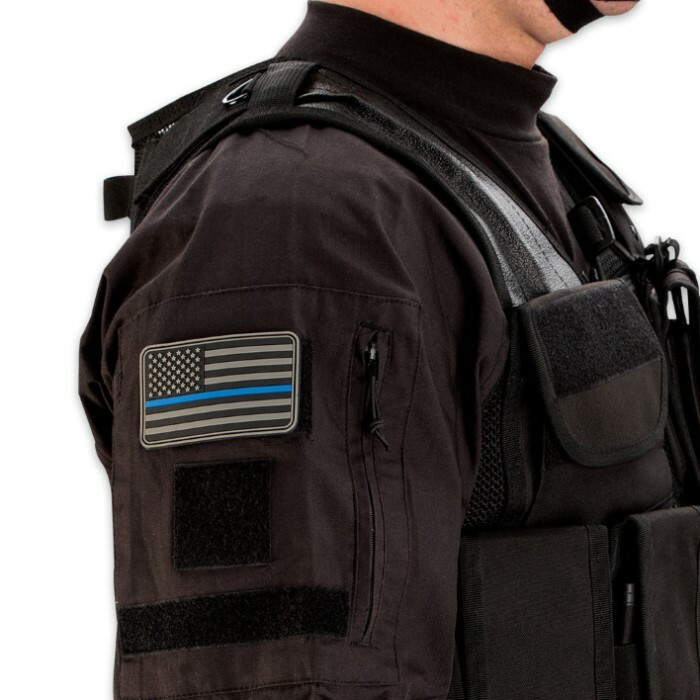 Thin Blue Line PVC Patch | BUDK.com - Knives & Swords At The Lowest Prices! 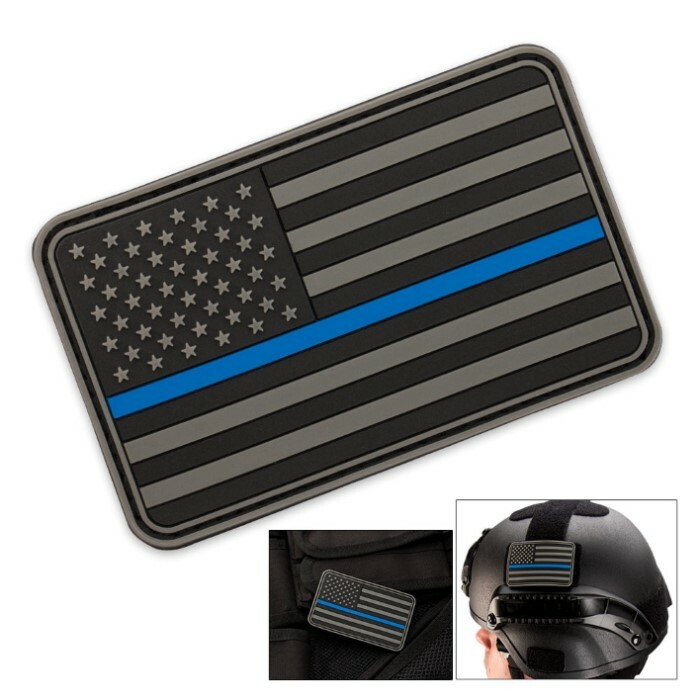 Add this Thin Blue Line Patch to any gear or item of clothing that has Velcro. This patch is constructed out of sturdy PVC so that it will weather all kinds of environments. 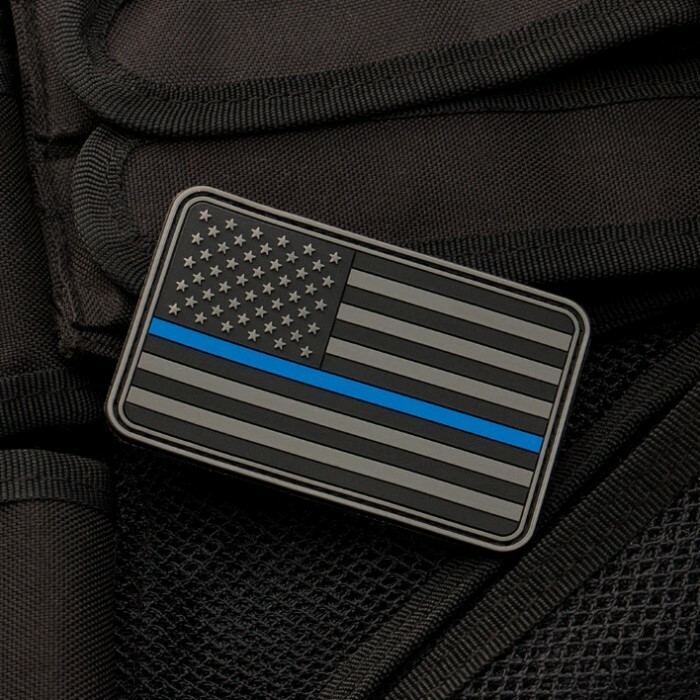 The design of this patch pays homage to law enforcement standing between the public and criminals with its Thin Blue Line emblem. The Velcro backing makes it easy to attach anywhere.